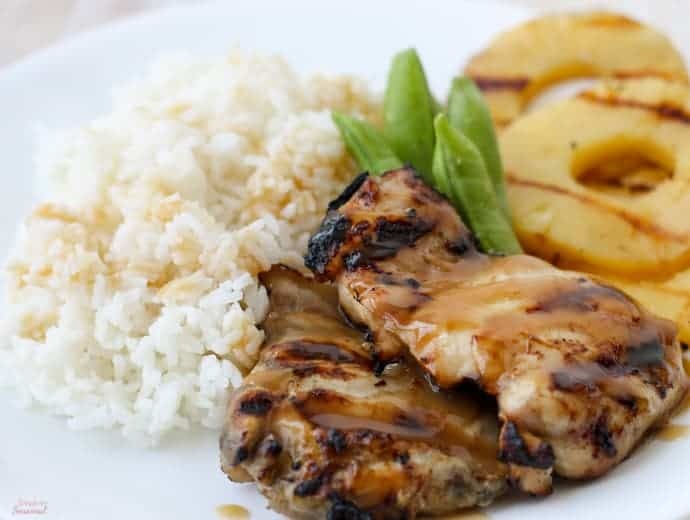 Grilled pineapple teriyaki chicken can be made with just a few pantry staples. 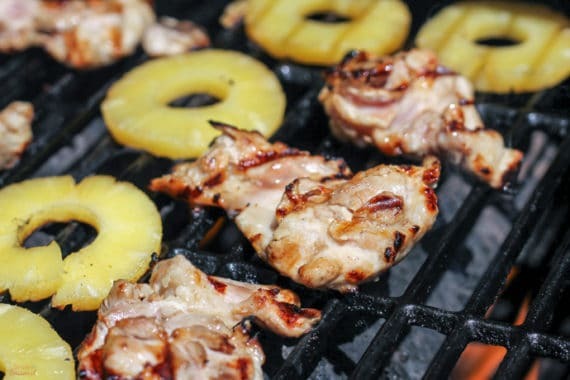 It’s quick, delicious and perfect for the grill! Ah, southern California living-it’s not summer anymore, but it’s still HOT. It’s the kind of heat that makes you step into the kitchen and then turn right around again. Nope. I’m not going to run the oven. No way. But I will use the grill, which keeps the heat outside and means fewer dishes to clean up later! 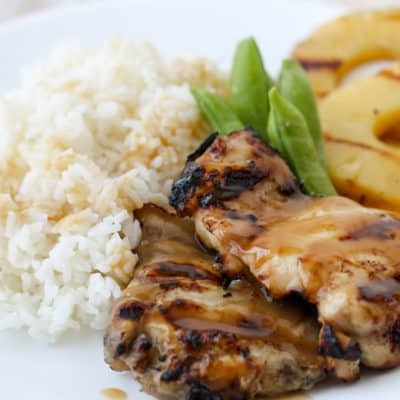 Pineapple Teriyaki Chicken is so flavorful and cooks quickly on the grill. It’s the perfect summer dinner. 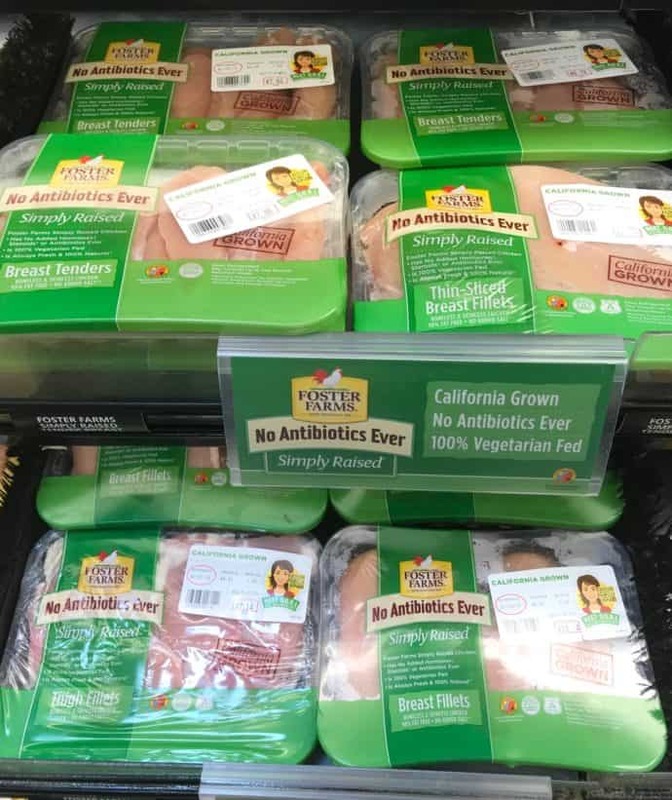 Foster Farms just made shopping for chicken a lot easier – and more fun – with DORI™ a new interactive, on-package QR code on all packages of Foster Farms fresh chicken. Scan the new DORI™ QR code for exclusive coupons, hundreds of original recipes using Foster Farms chicken, a map of Foster Farms’ local California and Pacific Northwest chicken ranches, savings, and more. New iOS and Android updates make using QR codes so much easier than it used to be. 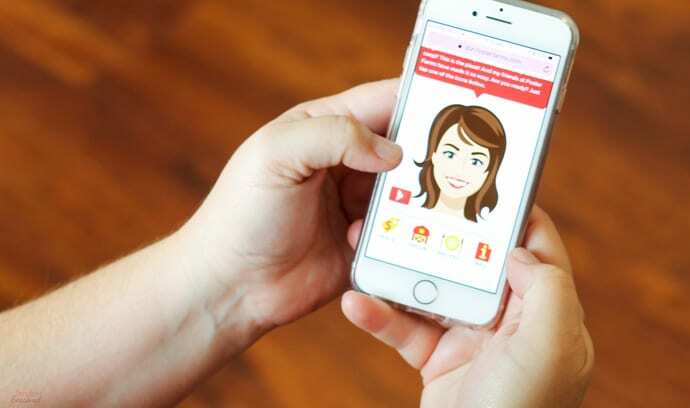 All you have to do is open your camera, point it at the code, and up pops DORI™ with helpful recipes and savings. 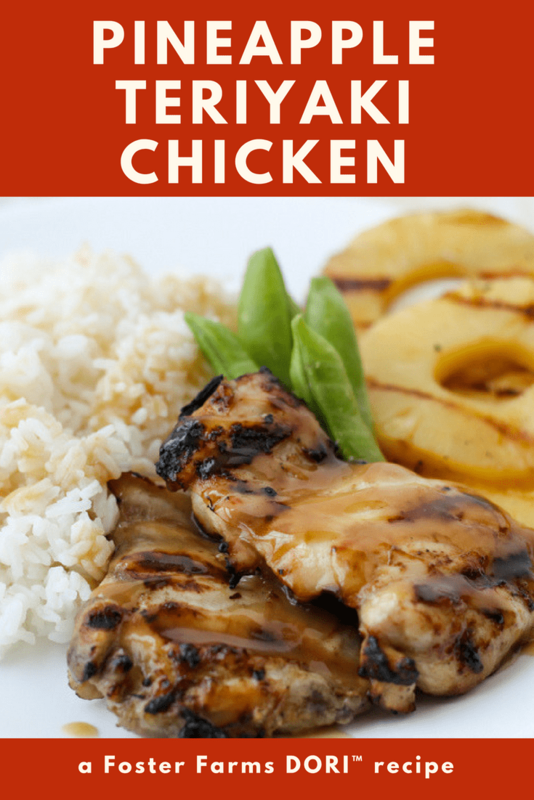 I scrolled through the recipes until I found one that looked simple and full of flavor: Pineapple-Teriyaki Chicken. 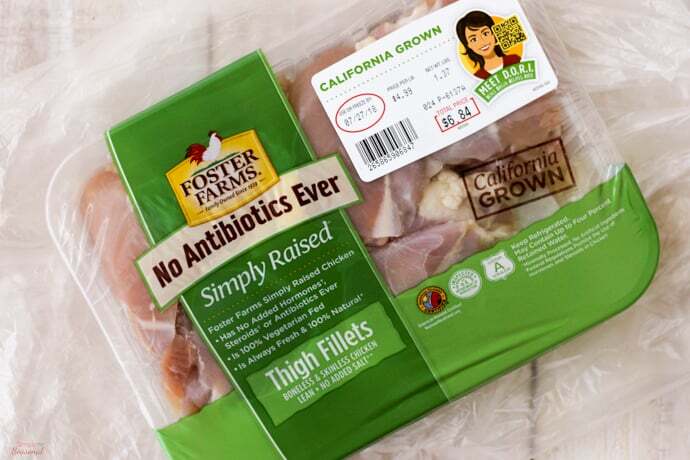 Start with fresh Foster Farms No Antibiotics Simply Raised boneless and skinless thigh fillets. Give it a nice bath in a juicy marinade. Then hit the grill to get that flavor you can only get over an open flame! Sauce it up and serve it with rice and snow peas for a family-friendly dinner that’s ready fast! 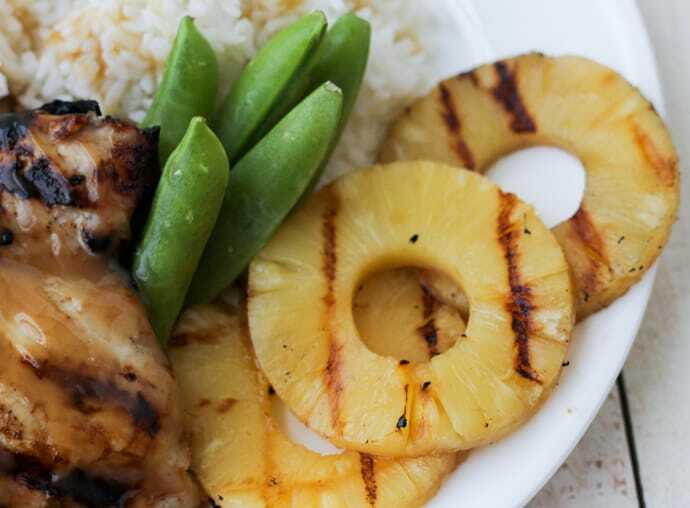 Grilled teriyaki chicken with pineapple can be made with just a few pantry staples. Although it’s delicious when made with canned pineapple, fresh pineapple and its juice can easily be used in its place. Whisk sherry, soy sauce, brown sugar and the ⅓ cup pineapple juice in a large bowl. 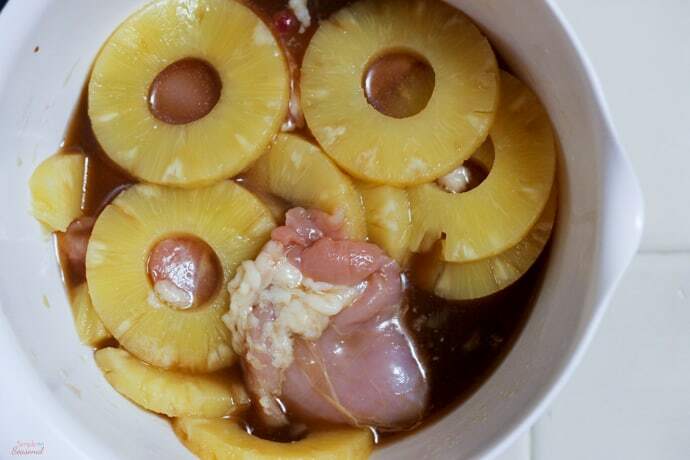 Add pineapple rings and chicken and gently stir to coat. Refrigerate for 15 minutes. SAFE COOKING INSTRUCTIONS: Cook to a safe internal temperature of at least 165°F. Always use a meat thermometer inserted into the thickest part of the chicken or turkey to determine the temperature. Do not rely solely on suggested cooking times. Cooking appliances vary in temperature and cooking times are a guide only. The next time you’re in the grocery store, be sure to try the DORI™ QR code out for yourself! There are so many great recipes, coupons and more there! For now, click here to learn more about Foster Farms Chicken with the DORI™ label. Happy grilling!